Cozumel is Mexico's third largest island, and lies about 12 miles off the mainland in the eastern part of the Yucatan Peninsula, surrounded by the Caribbean Sea. Edged with natural white sand beaches, the island is mostly flat and limestone based, with the highest point being only 49 feet (15 m) above sea level. 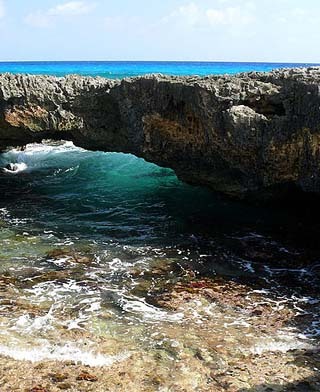 Cozumel is home to the Western Hemispheres largest reef system, as well as the 5th largest underwater cave in the world, and is composed of many underwater rivers known as "cenotes." Most of which haven't been explored.